Jessica Bonish, now 23 years old, struggled with anorexia throughout high school and has been recovering for the past two years. Jessica’s own experience has taught her that there is not enough awareness of teenage eating disorders and we’re delighted to share with you today, her story and her tips for recovery. 1) How did your anorexia come about? 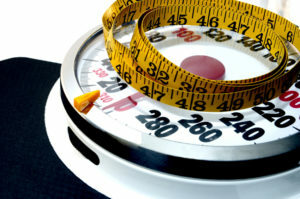 I had a thyroid disorder and once I regulated my thyroid I began to lose weight. All of a sudden my peers who had been mean to me since kindergarten started to be really nice. At the same time, it seemed like everywhere I turned there were ads telling me that the path to optimum health involved eating less, exercising more and losing more weight. All of these things combined led to the development of my eating disorder. 2) What strategies helped you increase the variety of foods in your diet during recovery? After I was discharged from the hospital (where I ate whatever my dietician gave me) my parents did all my meal prep. This allowed me to focus on eating and not on the amount of calories and fat that went into my meal. Over the course of a year, I slowly took over the prep but I still struggle with ‘hard food days.’ Something that I found hugely helpful in preventing anorexic thoughts was using meal plan exchanges. As opposed to focusing on calories, it focuses on incorporating the main food groups (veggies, fruits, protein, starch, fat and dairy or dairy alternative) into your daily meals. 3) What would you say is your biggest daily struggle and how do you overcome it? I still struggle with dietary fats, and worry a lot about consuming too much of them. I’ve learned that if you constantly avoid your ‘trigger food’ it will get worse over time and you’ll always be afraid of that food. So to overcome these thoughts, I just have to tell myself it’s not going to kill me, the fats are healthful and it’s a healthy dish. 4) What are your avenues of support? My family has been extremely supportive throughout my recovery. I think an integrative approach to recovery is also extremely beneficial. I worked with a doctor, a counsellor, an exercise consultant and a dietician. Of all of them, I would say that it was my dietician who really helped me the most with my recovery because she provided me with credible information and taught me that food is not the enemy. My friends and eating disorder recovery books have also been helpful. Finally, there are Facebook recovery support groups that have helped tremendously by making me feel not so alone in my battle. * Read part 2 of Jessica’s Interview.